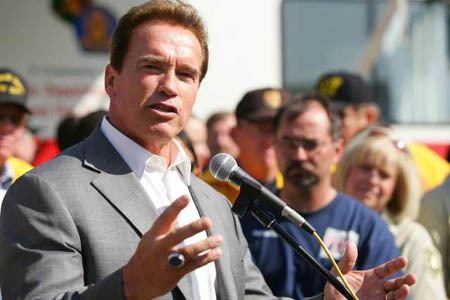 The push back by the old and new media to Arnold Schwarzenegger’s proposal to cut state funds to the agency overseeing the development of a 700-mile high speed rail network in California appears to have influenced the Republican governor’s view. Makes sense. What doesn’t is diverting $2.5 million away from the California High Speed Rail Authority, which is charged with developing the business plan. It’s like sending a kid to the corner store to buy a $3 gallon of milk, and giving him only $1.50. 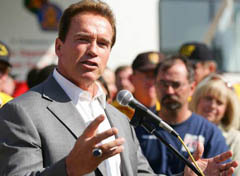 A little attention paid to Schwarzenegger’s proposed fiscal derailment may have kept the money in the rail agency’s budget. On Thursday, May 10, a California Senate Budget Committee is holding a hearing on the state transportation bill that should include discussion of the governor’s pr0posal for high speed rail funding. Next up is whether the planned November 2008 referendum, during which Californians will decide whether to spend nearly $10 billion to start building the first high speed lines, will remain on the ballot. Scwarzenegger doesn’t want to conduct the vote. Importantly for California and the nation, it’s the first instance that I can recall that proposed taxpayer cuts to a high speed rail proposal became a political issue, and generated significant citizen and media responses. Californians understand the value to their lives and their state in making this mega investment in new transportation technology. And as California goes, so goes the rest of the country. It’s a promising trend in every way.